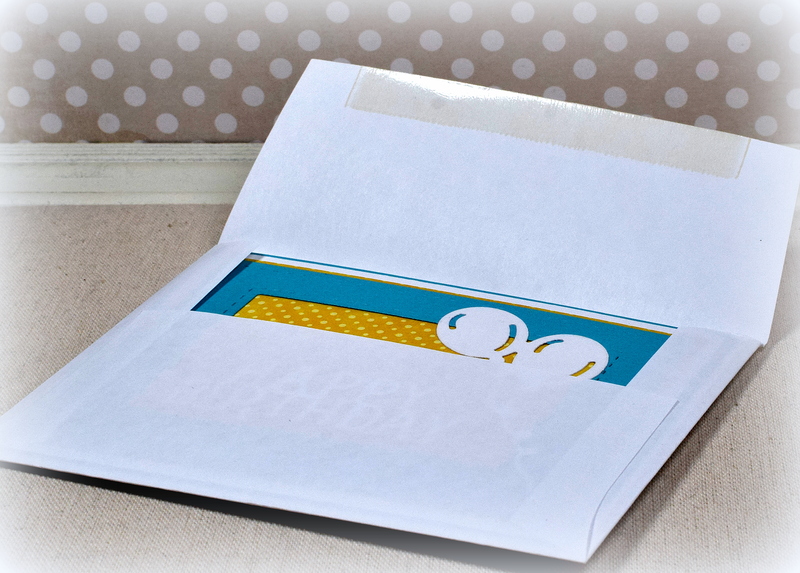 Recently, I had created a few cards with panels I made where I adhered napkins to card stock with cling wrap. It was suggested that freezer paper also works (thanks Bonnie and Verna), and I decided to give that a try. 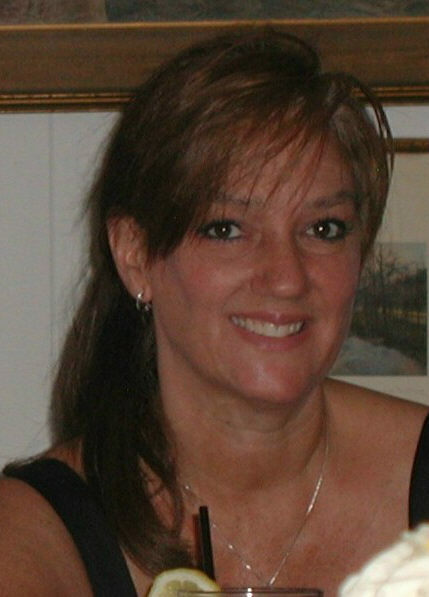 Oh my goodness – soooo much easier to work with! The freezer paper does not stick to itself (at all) or move around as much as the cling wrap does. Another issue I had in the past was separating the back layer(s) from the front layer of the napkin. I discovered a tip (on this video at 12:20 mark) which is to use a piece of tape on the back of the napkin – near the corner, half on and half hanging over the edge. Use your finger nail or a bone folder to burnish/push it down on the corner really well. Then pull up on the tape. The portion of the back layer attached to the tape will begin to separate from the front layer(s). Once started, carefully pull the rest of the layer off. If there are two layers behind the front layer, use a second piece of tape to remove the second layer. Again – soooo much easier than fighting with the corners to get it started! If you care to see how I created my napkin panels with freezer paper, I’ve included complete instructions at the end of this post . 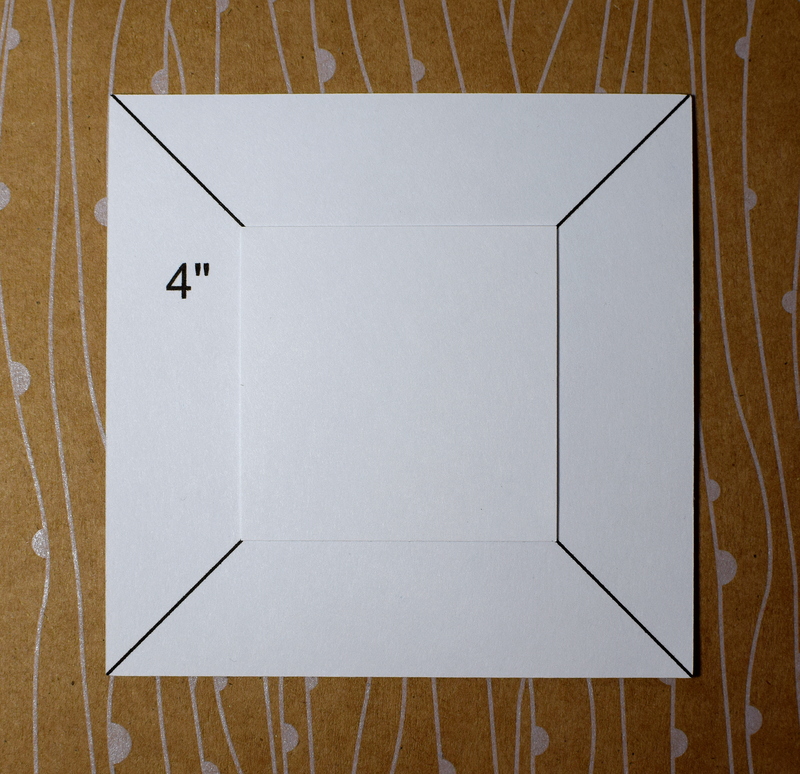 I die cut a square (with a peek-a-boo window die) from the napkin panel to create a frame on my 5 1/2″ x 5 1/2″ card. My Favorite Things has dies that cut either a square or a rectangle frame, and the cool thing about these dies is that the stitching is on the negative and not on the square itself which makes an interesting border around the opening of the frame. 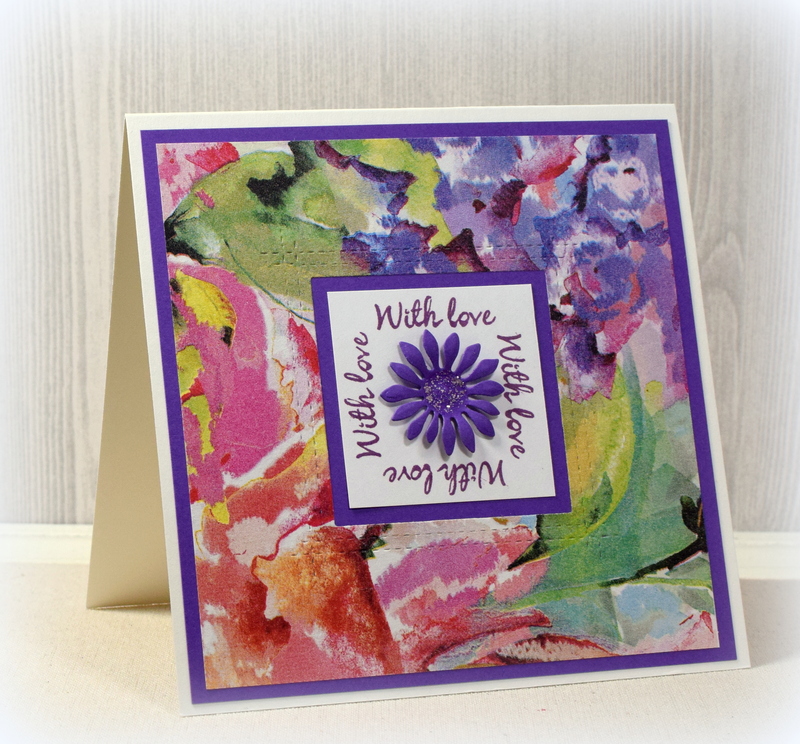 I stamped my greeting on a smaller square panel 4 times in my MISTI. 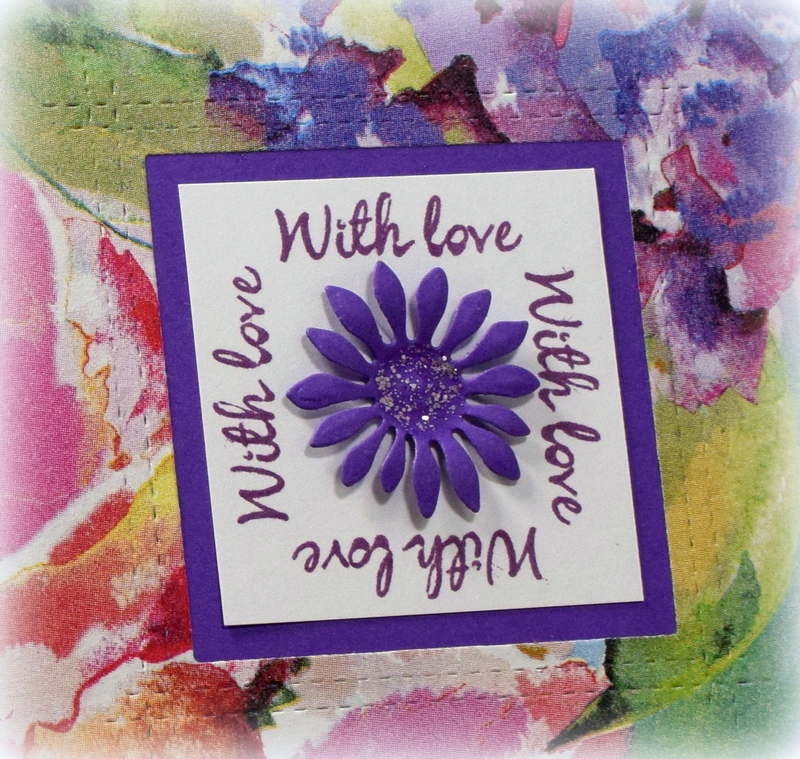 A die cut flower with a bit of stickles (glitter glue) in the center finished it off. 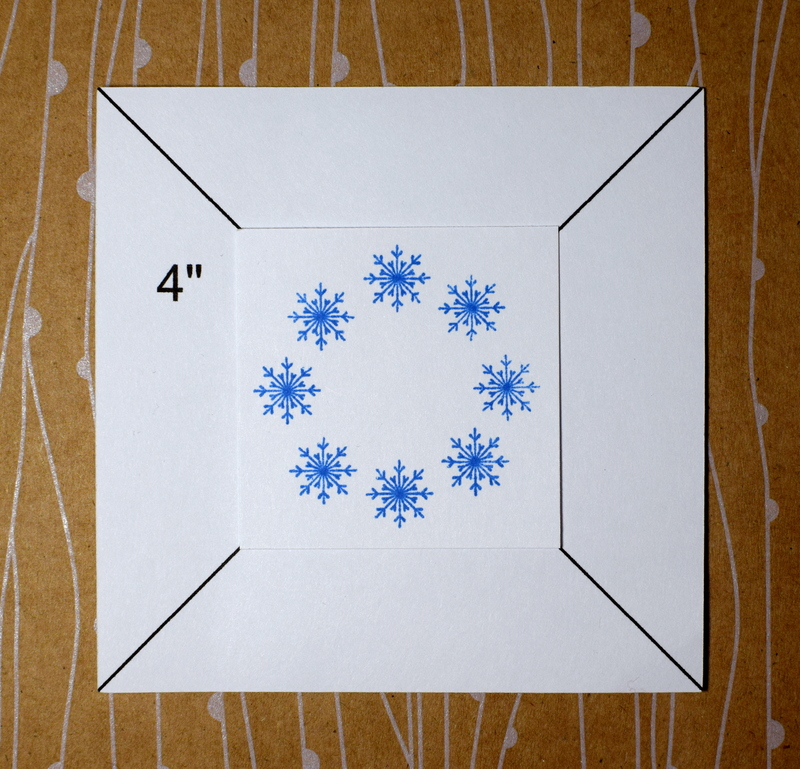 I have several small snowflake stamps and thought it would be fun to create a winter wreath card with them. I don’t usually use pink, but I decided to try something a little different for me, and I like it more than I thought I would! The Gina K Designs wreath builder template helps you create a perfectly positioned and evenly spaced circular pattern with your stamps. A tutorial on how to use this tool can be found HERE (beginning at the 6:40 mark). While it is easier if you use a stamp positioner (like a MISTI), I show you HERE how to use the template without one. For this card, I wanted my wreath to be on a 3 inch panel but was using a 4 inch template. It is super simple to use any size panel (the template size or smaller) with any size template. Let’s say you wanted your stamped panel to be 2 1/8 inches square. In addition to the 2 1/8″ panel, cut a scrap panel to the correct size for the template. 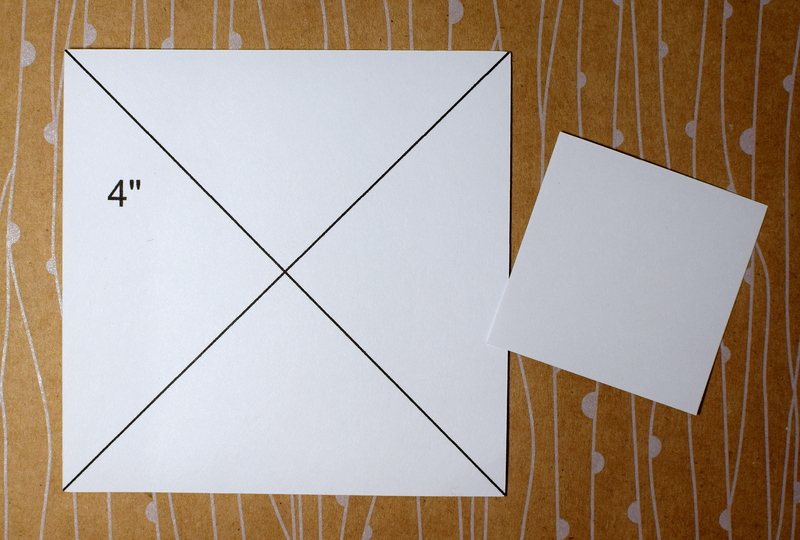 If you are using a 4 inch template, you need a 4 inch square panel. With a pencil and a ruler, draw diagonal lines from each corner to it’s opposite corner. Put a spot of removable adhesive in the center of this panel. Take the 2 1/8 inch square you need for your project. Center it on the “adapter” scrap. Use the diagonal lines to help you position it; when all 4 corners of your panel touch the diagonal lines, it is centered. Then, just rotate and stamp with the “adapter” (and your temporarily attached panel) as you normally would. Remove your stamped panel when done. Save your adapter panel. If you used removable adhesive, you can rub it off and use this adapter again and again (although it is so easy to just make another one if needed)! I used Milled Lavender and Seedless Preserves distress inks and Memento Danube Blue and Summer Sky. While I had these ink pads out, I made another card where I stamped the wreath directly on the rectangular card panel (instead of on a smaller square). If you focus on the top edge and corners of the panel (and ignore the bottom half that hangs out of the template) and rotate and stamp as you do with a square panel, you can achieve the same result. Both of these cards were made with just white card stock. I applied ink to some of the card stock to create the matching background panels and mats. I also added ink to white ribbon (on the second sample) to make the purple bow. 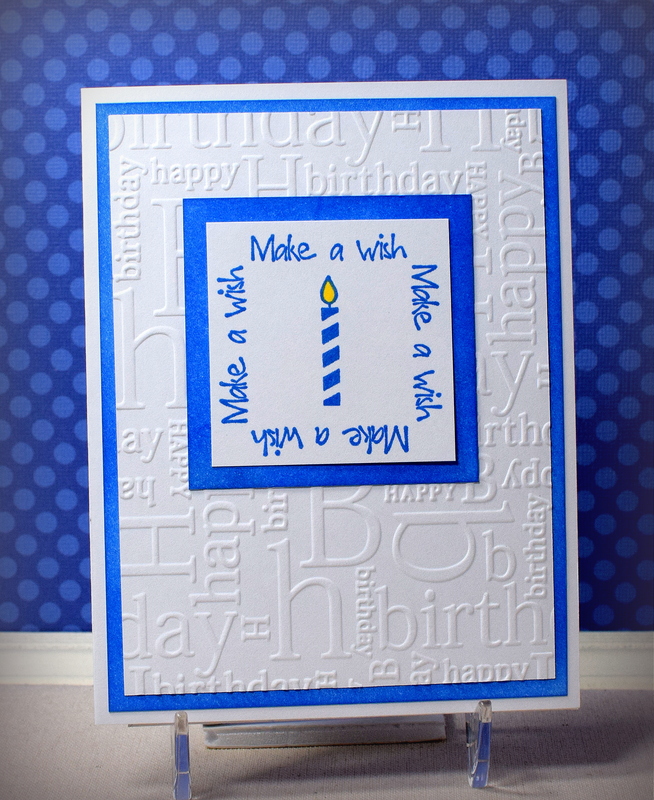 Here is a Clean And Simple card made with all white card stock. 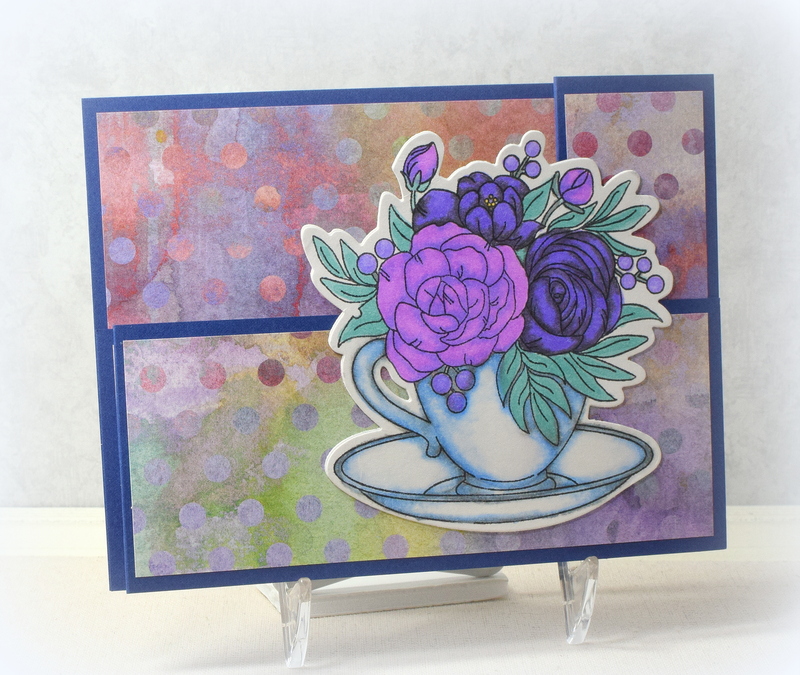 I used an embossing folder, some inked panels for the mats, and a fun greeting panel that I created by stamping and rotating 4 times in my MISTI. Super easy! The greeting stamp is from a set called “Fairy Wishes” (unbranded?) which I cut to separate the words from the wand/dandelion image. The candle is from a set called “Happy Birthday Stamps” (ms. sparkle & co.) that I found in a $2 bin at Joann Fabrics a while back. The embossing folder is unbranded. 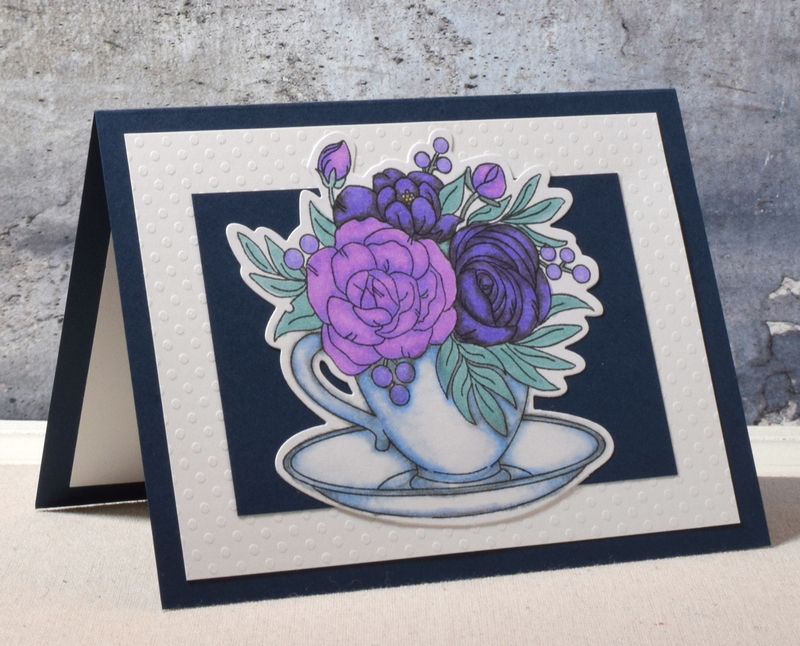 Recently, I shared a wiper card I made for my class and have another sample (with same image from the “Cup of Thanks” stamp set by Studio Katia) that I did with different colors. 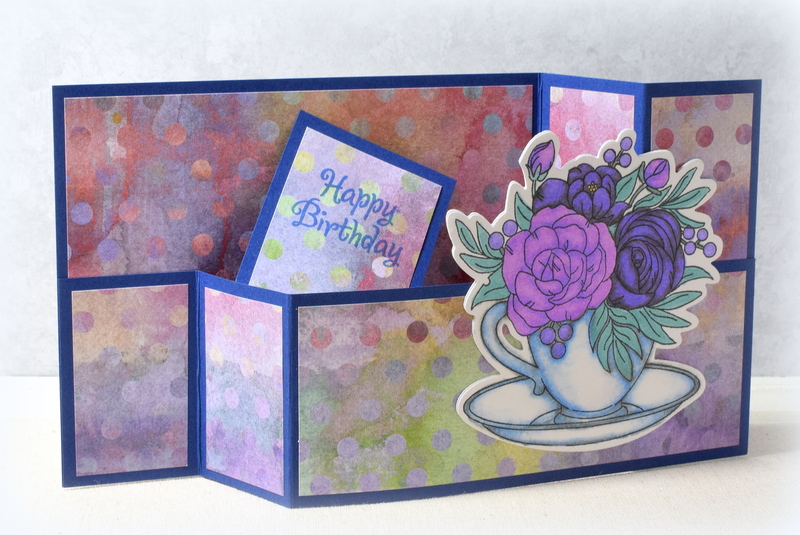 (If you care to see how I made this card base, I’ve included a short tutorial at the end of this post.) 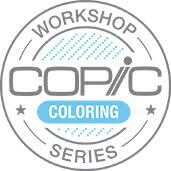 Again, I used Bic alcohol markers (polynesian purple, stone grey, petal pink, tranquil teal, cloud nine grey, ocean blue), and a blender pen to color my image. I found this patterned paper called “Watercolor Dots” by Recollections at Michaels and liked that it had so many colors that worked well with the pencils, markers, and inks available to my students. 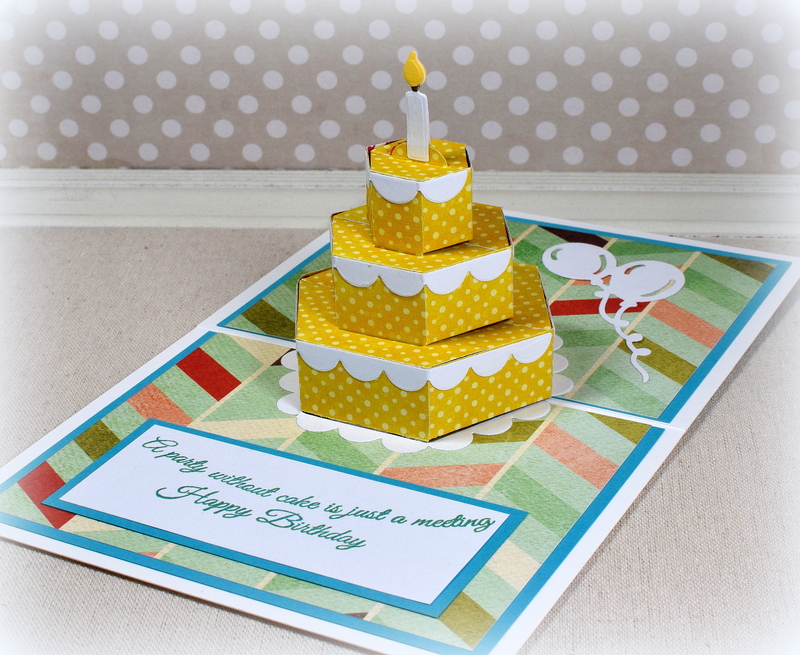 Here is a tent fold card layout with the same image. Here’s what my card looks like when it is closed. 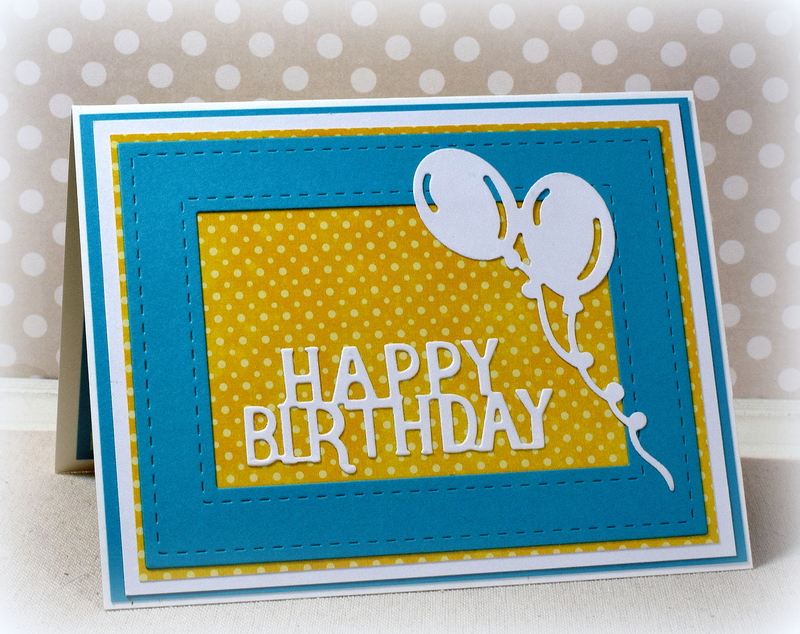 I used heavy weight white card stock for the card base along with Gina K Designs “Blue Lagoon” and layering weight white. 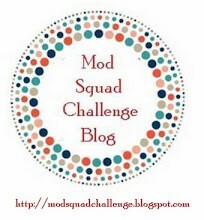 The chevron pattern is “Perky #2000” by Fancy Pants Designs (retired?) and the yellow polka dot pattern is “Horizon #374026” by American Crafts. The balloon die and stitched rectangle dies were both unbranded. 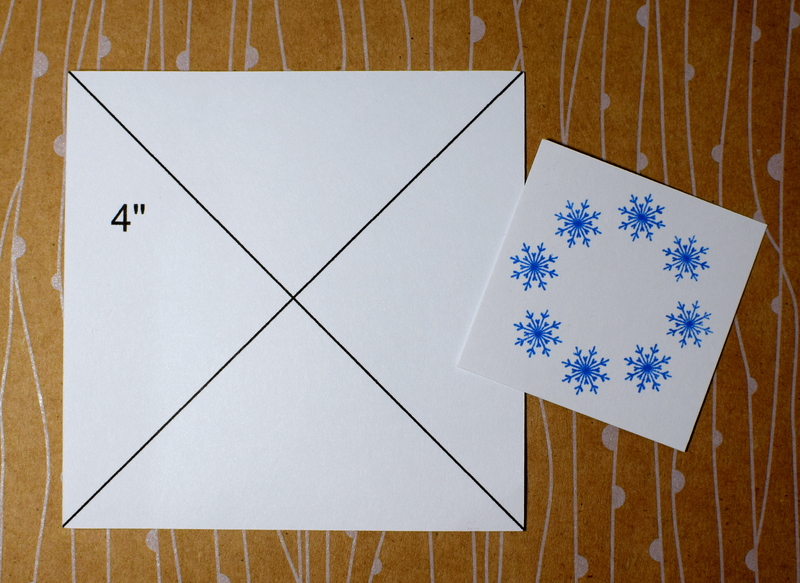 This card folds flat and fits in a regular A2 size envelope for mailing.